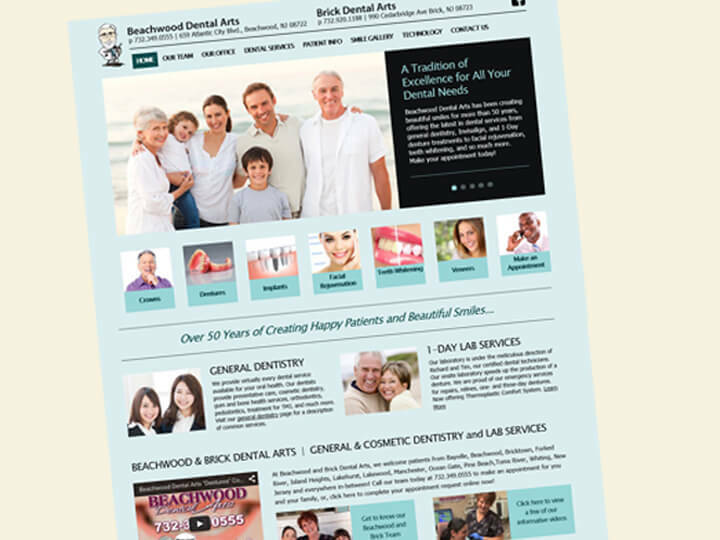 Beachwood Dental Arts has a long, successful history in the Beachwood, NJ area. After expanding their dental services to a second location, they decided to reinvigorate their branded look online. Their goal was to create a modern look that focused on their differentiating features, including an in-house lab, and would appeal to their key target markets.